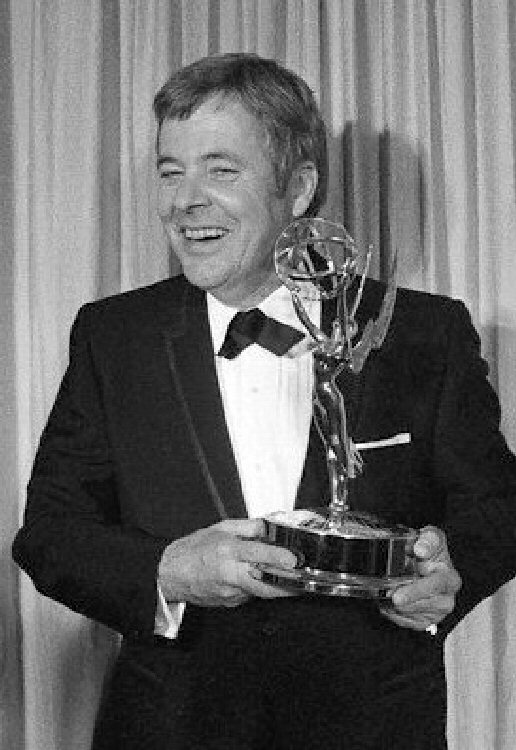 William Windom - B Co. Topping off a distinguished career on stage, television and the movies, William Windom is a tour de force in the WWII musical, “The Windbreakers”. As Bill explained, “I told a TV interviewer that I had cracked the “Windtalkers” code while serving with the 508 in WWII. Thereafter I was known in S2 as the WINDBREAKER. Previously cast in conservative, mild-mannered roles, Windom appeared in 18 Broadway plays before making his film debut in To Kill a Mockingbird as the prosecuting attorney against Gregory Peck. Bill won a Primetime Emmy Award in 1970 for Outstanding Lead Actor in a Comedy Series for the lead in his weekly TV series, "My World and Welcome To It" and gained even wider fame portraying the role of Dr. Seth Haslett on the long-running Angela Lansbury TV series "Murder She Wrote."